Child support payments are typically established between ex-spouses at the time of divorce. The non-custodial parent will pay a predetermined monthly amount to the parent who bears the primary financial responsibility for raising the child or children. While these child support payments are firmly set and enforceable by the court, the amount of the payments can be altered under certain circumstances. Here are 4 situations under which either parent may request a child support modification. If the parent making child support payments experiences a significant loss of income, he or she may request a modification to their child support payments. There are many different models for calculating child support payments, but generally speaking, child support payments for one child should not exceed 25% of your take-home pay. So, if you’ve experienced a significant income loss, and your child support payments take a large percentage of your net income, you may be able to request a child support modification to decrease the amount of your payments. On the other side of things, if the custodial parent experiences a decrease in income, he or she may request a child support modification to increase payments from the non-custodial parent to help continue caring for their child or children. Whether or not the request is approved will be based on how much of a financial burden the increase would place on the non-custodial parent, among other factors. There are many instances in which the costs of raising a child or children may increase. Generally speaking, as children age, the expenses required to care for them increase as well. These gradually increasing expenses might include school tuition, fees for after-school activities, the costs of school supplies, among other expenses. 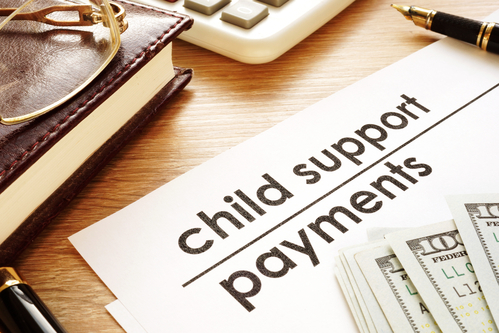 As the child or children age, the custodial parent may be able to request a child support modification to have the non-custodial parent assist with these expenses. Additionally, certain unexpected circumstances may arise that require a sudden and dramatic increase in expenses, as opposed to the gradual increases mentioned above. For example, a child may require braces, or may injure themselves and require surgery or other medical care—either long-term or short-term. In each of these cases, the custodial parent may request additional payments from their ex to help cover the expenses of caring for the child or children. After divorce, many individuals often remarry and/or have more children. If a non-custodial parent has additional children, their expenses can increase significantly, and they may request a modification to decrease their child support payments. Most courts will acknowledge an increase in familial responsibilities as a valid reason for a child support modification, as they do not wish for any additional children a person may have to suffer due to a parent’s financial obligations to children from a previous relationship. It is not only a loss of income that may qualify as a reason for a child support modification. If you discover that your ex has experienced a significant increase in income, you can request that their child support payments be increased to reflect a proper percentage of their new income amount. This can apply to either a long-term increase in income (e.g., a large raise at work, or change in career that came with a substantial pay raise) or a more temporary increase (e.g., a large inheritance or lottery winnings). Depending on the duration of their income increase, you may be granted either a permanent or temporary child support modification. Depending on your and your ex’s precise circumstances, you may be granted either a temporary or a permanent child support modification. Temporary modifications are typically granted for large, one-time expenses, such as if a child needs braces, or for temporary changes in a parent’s income. Permanent modifications are typically only granted when there has been a substantial change in the child’s needs, but may also be granted for long-term changes in income, or an increase in familiar responsibilities. There are many circumstances under which a child support modification may be necessary in order to maintain balance between the parents’ financial obligations, and to ensure that your child’s or children’s needs are all met. If you would like to request a child support modification for any reason, please reach out to one of our child support lawyers for assistance in determining whether or not you may qualify. Then, we’ll help you submit your modification request to the court and guide you through the rest of the process.